Pultrusion is a technology process of drawing the fiber impregnated profile and binding fiber materials through a heated forming die. Manufacturing of the profile is done by means of special Pultrusion machine. 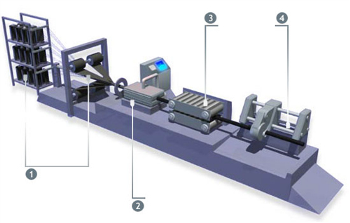 Fiber material (roving, mat) in the dry state is uwinded from the spool and is fed in a certain way in to the bunch, which then enters the impregnation device (bath) with the resin, where fiber material is wetted with polyester, epoxy or other adhesive. After that fiber material is supplied into a heated die, which forms the profile required. Then, the composition is cured at a given temperature. As a result, the output is a fiber reinforced profile configuration that follows the shape of the die. Through the use of technology it became possible to produce pultruded thin-walled fiber reinforced profiles of complex shapes at high speed. 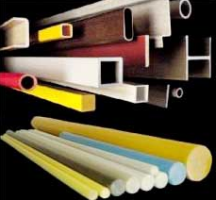 Continuous basalt fiber, due to their high mechanical properties, can be effectively used for the production of pultruded products, combined with polyester, vinyl ester or epoxy resins. 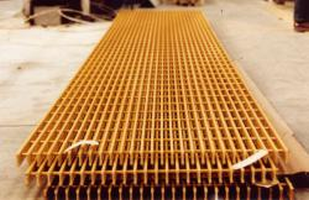 Of particular interest are applications requiring a combination of material properties such as high strength and chemical resistance (mining equipment, marine structures, etc.) or high strength and insulating properties, etc. 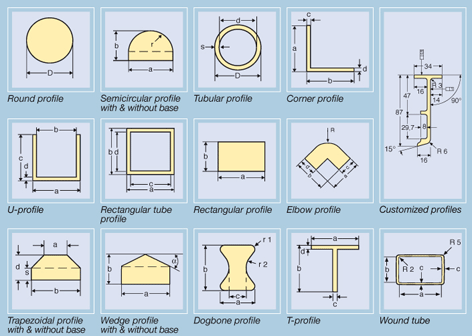 Pultrusion can be used for the production of either solid or hollow fixed cross section profiles. 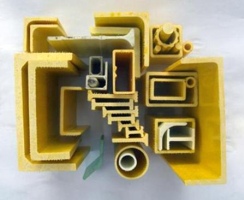 Pultrusion process is great because of the compatibility with the wide range of materials that can be used - including fiberglass and basalt fiber - and provide specific desired properties of the composite as a final product. Pultrusion profiles can be precisely machined to the required size as well. 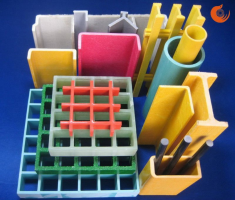 Ability to produce pultruded fiber reinforced plastic of virtually any color.